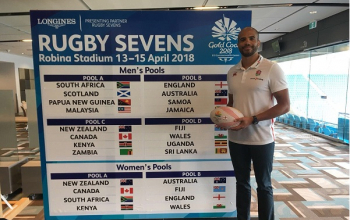 Kenya 7s will not be contesting a medal at the Commonwealth games at the Gold Coast, Australia after a 40-7 pool C fall to New Zealand at the Robina Stadium on Saturday morning. It was a winner take-all clash as, with four groups at the Commonwealth, only the group winner proceeds to the semi finals to contest Gold, Silver and Bronze as second placed teams go into a classification semi. 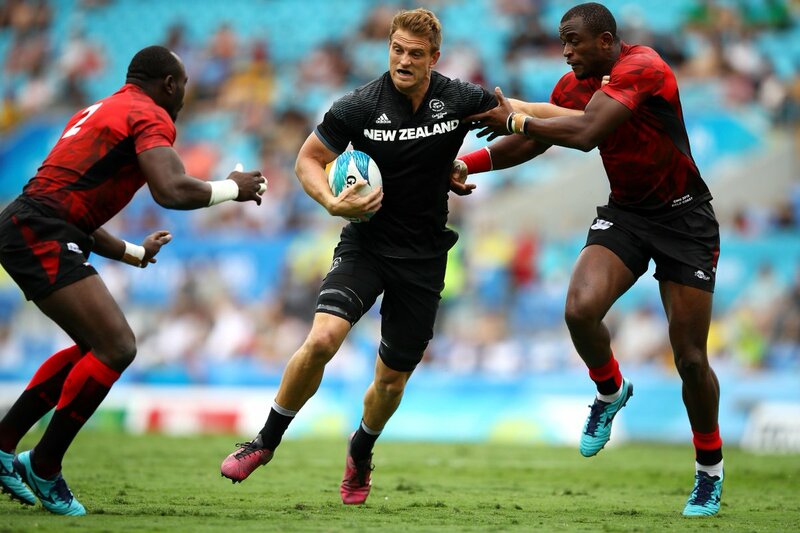 Kenya came to this game on the back of a 26-10 starting win over Canada as New Zealand were on cruise mode following a 54-0 thumping of debutant Zambia in their opener. 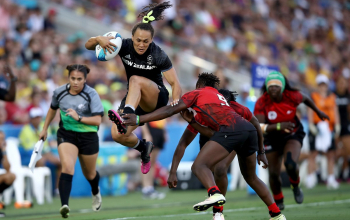 Two straight tries by Etene Nanai-Seturo and added touchdown by Sione Molia had New Zealand up 19-0 at half time. Vilimoni Koroi booted in two after missing out on converting Nanai-Seturo first try. Three further tries by Regan Ware - converted by Kurt Baker, skipper Scott Curry and Andrew Knewstubb - both converted by Knewstubb sent the 2014 Commonwealth Silver medalist to the 40 point mark. Sammy Oliech was to land a consolation try and followed it up with a conversion to end the tie at 40-7. In the opening game, Kenya and Canada tied 5-5 at the interval before cruising to the win. An early unconverted try by Nathan Hirayama got the response of Collins Injera as Kenya survived a sin bin to Oscar Ouma in this half. A Jeff Oluoch try converted by Sammy Oliech sent Kenya 12-5 up but Canada came to within two points with a Justin Douglas unconverted try. 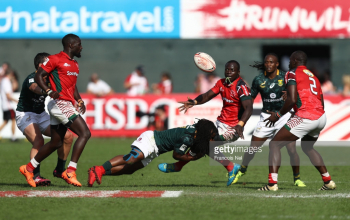 Nelson Oyoo and Willy Ambaka tries, both converted by Oliech put the game beyond doubt for Kenya. Now out of the medal bracket, Shujaa will go flat out against Zambia in their final fixture with a view of ending up second to feature in the classification semis as New Zealand and Canada fight for top pool honors in the final fixture.